Marlon Cotton is a participant in the #f*yoflag tour which was organized by Vaun L Mayes. 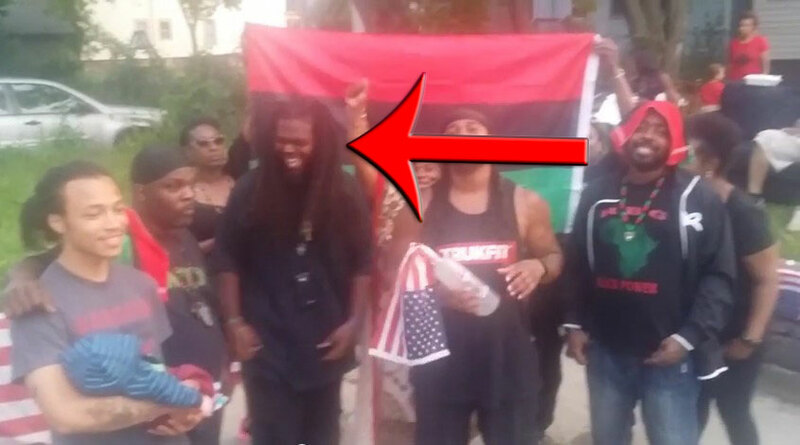 In the picture and included video below you can see Marlon Cotton laughing when Vaun L Mayes talks about burning multiple flags. 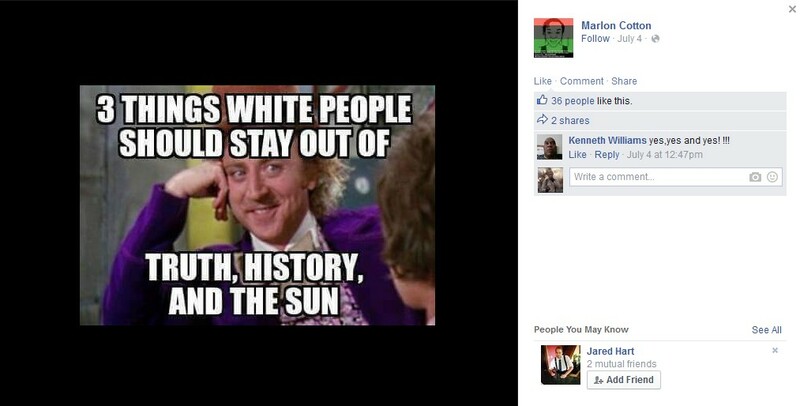 Marlon is a known anti white racist who wishes that white people never existed yet has no problem living in a country full of them. It is worth mentioning that he does cry about it quite often.